Renovation loans have had a bad reputation. You had to use certain inspectors and contractors and they took a long time to get done – among other issues. United Mortgage now has 3 loans that can help your buyers. The FHA 203k, Conv Homestyle Renovation and the VA Renovation all work basically the same way and they all are much easier to do these days! 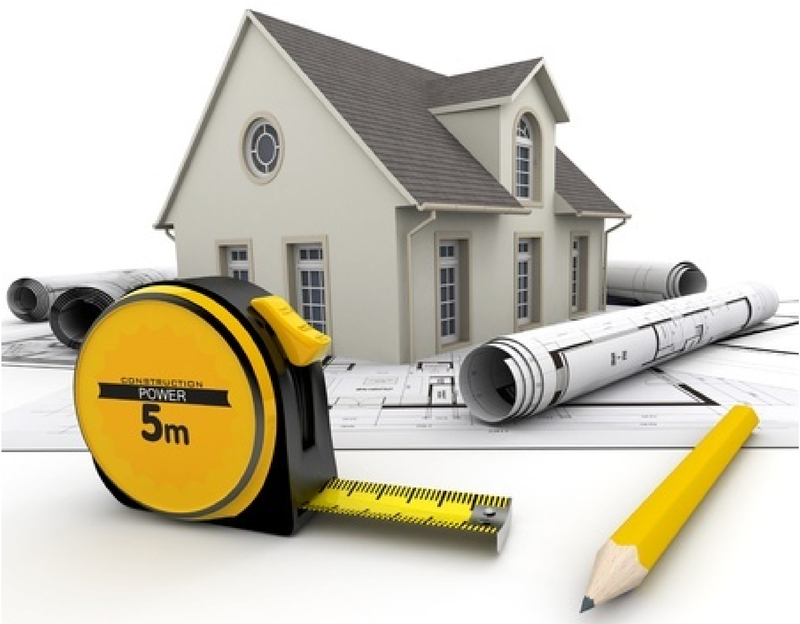 You can choose almost any contractors, as long as they are licensed and insured, and don’t have to get multiple bids. Closings can happen in 45 days. Each loan has unique qualities, so please contact us to learn more about how we can help your find the best solution for you! We are thrilled to announce that Lisa Bright has joined the team at United Mortgage. Lisa has been in the mortgage industry for over 30 years. She has worked in many different capacities, including auditing, closing loan packages, underwriting, processing, scrubbing loans, and working as a wholesale and correspondent representative. Her extensive experience has made her a better loan originator. Clients consider Lisa to be a hardworking individual when it comes to getting their loan to the closing table. She keeps them updated every step of the way and is very easy to reach during the entire process. Lisa is confident in her ability to create a great experience for her clients, and is eager to work with home buyers at United Mortgage. Lisa stays involved in the community through her membership of the Lathrop Chamber, as well as hosting a “trunk or treat” annually for the local 42 firefighters in Kansas City to raise money for their Community Assistance Fund. When Lisa isn’t in the working or volunteering, she focuses her time on her family. She and her husband have five girls and three grandchildren. We ask that you join us in welcoming Lisa to United Mortgage! You may contact Lisa for your lending needs here. United Mortgage is pleased to welcome Brian Turner! Brian started in the mortgage industry in 2000. He is known for being an honest and straightforward professional who gets results. It is no wonder his clients often return to him time and time again for mortgage services. He particularly loves helping first-time buyers, easing their worries and fears, and helping them get a foot in the door to home ownership. Brian always strives to do the best for his clients, and we are thrilled to have him as part of our team at United Mortgage. Please join us in welcoming him! You may contact Brian for your lending needs here. We are pleased to announce that Jacob Dickerson has joined our team at United Mortgage. Jacob strives to not only help his clients get a loan, but to build a complete mortgage strategy for them. He understands that the loan process doesn’t end when you get the keys to your new home. It is part of a lifelong financial strategy to build wealth, and he is passionate about helping his clients implement that. Jacob is a family man with two wonderful children. He grew up in a small town in northern Missouri, and moved to the Kansas City area following high school. Outside of work, he enjoys sports and traveling. Please join us in welcoming Jacob to United Mortgage! You may contact Jacob for your lending needs here. We are happy to announce that Rashad Newton has joined the team at United Mortgage. A mortgage and loan professional for more than 15 years, Rashad has the knowledge and experience to help his clients make the best decision for their mortgage needs. The financial aspects of home buying can be stressful and overwhelming—but they don’t have to be, not with a trained and caring professional like Rashad in your corner. Contact Rashad today at United Mortgage to start making your home-ownership dream come true. 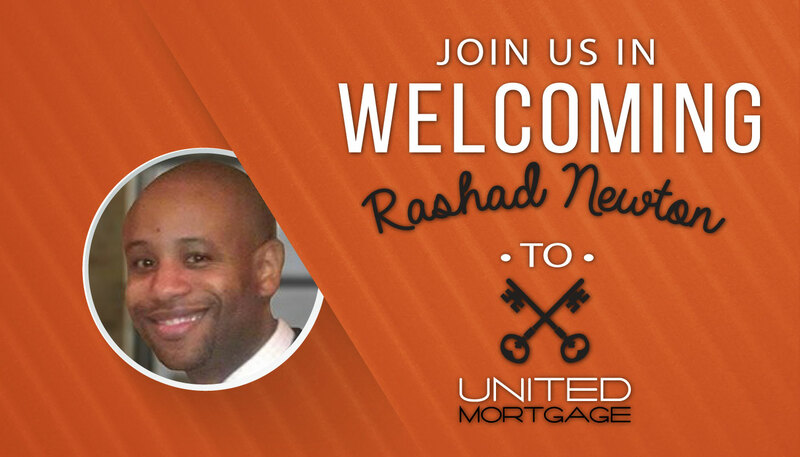 We ask that you join us in welcoming Rashad to United Mortgage! You may contact Rashad for your lending needs here. We are pleased to have Sara Deere join our team at United Mortgage! Sara brings over 10 years of residential mortgage experience, licensed in Kansas and Missouri. Her extensive experience in Conventional, FHA, HECM, Jumbo, USDA and VA home loan programs has made it possible for her to not only help over 1,500 clients get a home loan, but find the RIGHT home loan for their situation. Sara has a Masters of Science in Education from the University of Kansas. She has been a panel member at different seminars as a mortgage expert, and was a past contributor for a published book about the HECM mortgage product. Sara regularly attends networking and cultural events throughout the Lake of the Ozarks community, and has served as Silent Auction chair for a local Lake area rotary golf tournament over the past two years. Sara was recently honored as one of the outstanding Rotarian volunteers of the year. She currently resides in Lake Ozark with her rescued Lab mix dog, and enjoys spending time running 5k races, playing tennis and golf, and traveling around the world. Please join us in welcoming Sara! You may contact Sara for your lending needs here. 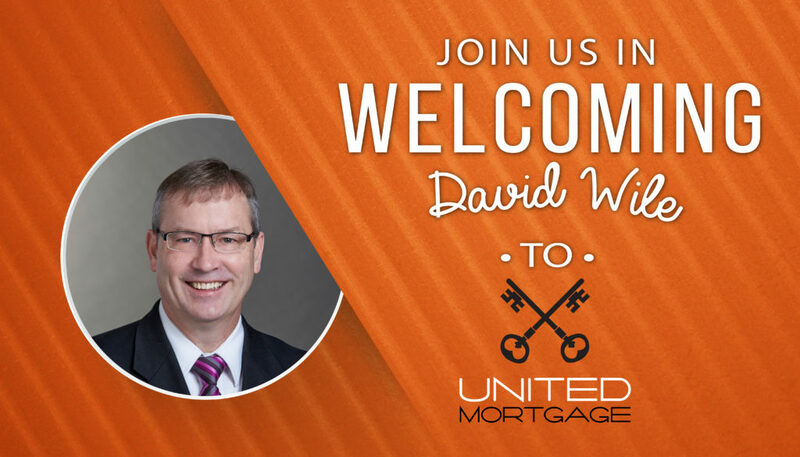 United Mortgage is pleased to welcome David Wile! David is a strong believer in family, faith, and the community, and his only goal is to provide a memorable and amazing customer experience. With David as your Mortgage Banker, you have an experienced advocate on your team. David grew up in the Northeast and migrated west with his family to Kansas City. Along the pathway, he and his wife were compelled to do mission work south of the equator. Giving back to the greater good of the community was accomplished through leadership training. Please join us in welcoming David! You may contact David for your lending needs here. What is the difference between a pre-qualification and pre-approval for my buyer? Many home buyers believe that a pre-qualification is the same as a pre-approval. This is incorrect. A mortgage pre-qualification is an estimate only of how much a buyer can borrow. A mortgage pre-approval, on the other hand, is what every home buyer should obtain prior to looking at homes. A mortgage pre-approval is a written commitment from a mortgage lender. To obtain a mortgage pre-approval a buyer will be required to provide the same documents that are required when formally applying for a mortgage, such as W-2s, pay stubs, and bank statements. At United Mortgage we know your closings matter and we make sure your buyers have been pre-approved fully for you. What documents will my buyer need? Proof of income and assets for down payment, personal identification, and information about your credit history. If self-employed, up to 2 years tax returns will be required. What can the buyer do to avoid slowing down the process? Fully complete all required loan documents, be readily available to answer any questions from the loan officer, and avoid adding any new debt or changing jobs during the loan process. The length of time it takes for a mortgage loan to get approved and closed will vary from lender to lender. United Mortgage strives to make sure loans are closed as quickly as possible, and even guarantee closing dates! When shopping around for mortgages, it’s extremely important to ask how long a mortgage lender will take to get their loans approved and closed. We are able to close loans in less than 30 days and guarantee your buyer’s loan request will be our priority. Do all loans have PMI over 80%? No. We have numerous loan programs that don’t require PMI or even reduced PMI rates. Are you a Mortgage Broker or Direct Lender? We are a direct mortgage lender which means we fund and control our loans throughout the entire loan process. We ensure that your clients get the best loan, and that the loan process is smooth for everyone involved. We believe that being a direct lender is the best way to ensure satisfaction for you and your clients. What does APR stand for compared to the Note Rate for my clients? Mortgage APR is the cost of the loan expressed as a percentage, taking into consideration different loan charges including interest. The APR is the true cost to the borrower for the mortgage assuming they keep the loan for the entire term. If they pay more to principal or refinance, then the APR will be affected accordingly. Consumers’ payments are based on the note rate and borrowers should be aware of inflated APRs, which would imply higher than normal fees. Can United Mortgage guarantee we will close my buyer’s loan on time? Yes! Over 3 years ago, United Mortgage created an “on-time closing guarantee” to ensure just that, including a credit back of up to $500 if we don’t meet or exceed our guarantee. Is there a fee charged to begin the application process for my buyers? With United Mortgage, your buyers can apply for a home loan at no charge. With their permission, we will review their credit report and supporting documentation to ensure everything is ready to move forward! How long is the pre-approval valid for my buyers? As long as the information originally provided does not change, pre-approvals remain valid for 90 days. If information does change, such as income or debt, then we would need to pre-approve the borrower based on this information. Can my buyer bring a personal check to closing? Unfortunately no, they will need to bring certified funds, such as a cashier’s check from the account that was disclosed on the application. Many title companies will also accept a wire transfer for an additional fee. Can a Veteran have more than one VA Loan? Yes. Under certain eligibility, the veteran can have more than one mortgage which could save a deal if trying to close before their other house sells. 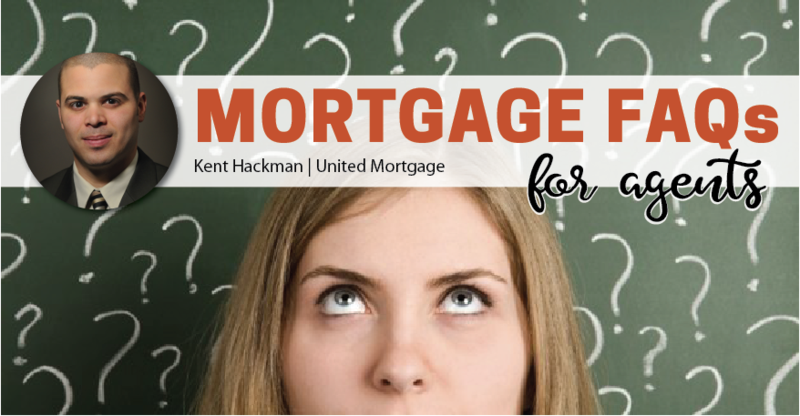 What are the steps of the mortgage process? 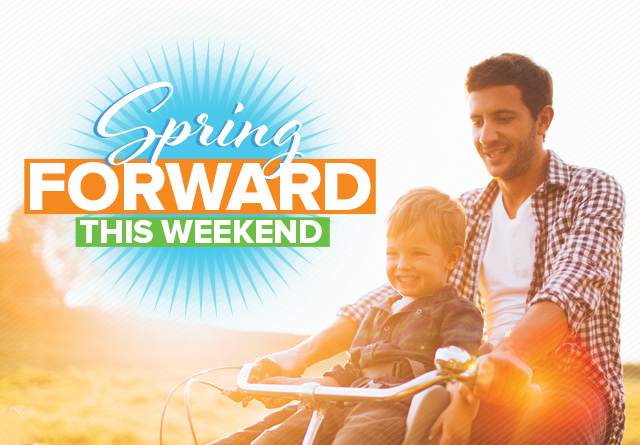 Don’t forget to turn your clocks forward one hour this weekend! Daylight Saving Time officially begins at 2am on Sunday, March 11. Maybe now is a good time to get to bed a little early, like you’ve been promising yourself? Most of the country may be losing an hour of sleep, but we’re also gaining an hour of daylight. The days will be long and sunny again before you know it! This is also a good time to check the batteries in your smoke detectors and carbon monoxide alarms. Do this twice every year at the time change, and you’ll never skip on safety. If the warming spring weather makes you think about homebuying, home improvements, or renovations, give us a call to discuss your financing options! Great News! Loan Limits Are Now Bigger and Better! The FHFA acknowledged at the end of November 2017 that housing prices are on the rise, leading to a necessary rise in the limits as well. As home prices rise, the maximum loan limit needs to rise so homebuyers can borrow enough to cover the cost of their new home purchase. The new limits set by the FHFA reflect the increase in home prices across the country, making it easier for more borrowers to qualify for financing and achieve the goal of homeownership. This is only the second time since 2006 that the conforming loan limits for loans purchased by Fannie Mae and Freddie Mac have risen. It indicates a strong recovery in the U.S. housing market, as conforming levels were mandated by the Housing and Economic Recovery Act of 2008 to remain at $417,000 until home prices returned to pre-crisis levels. 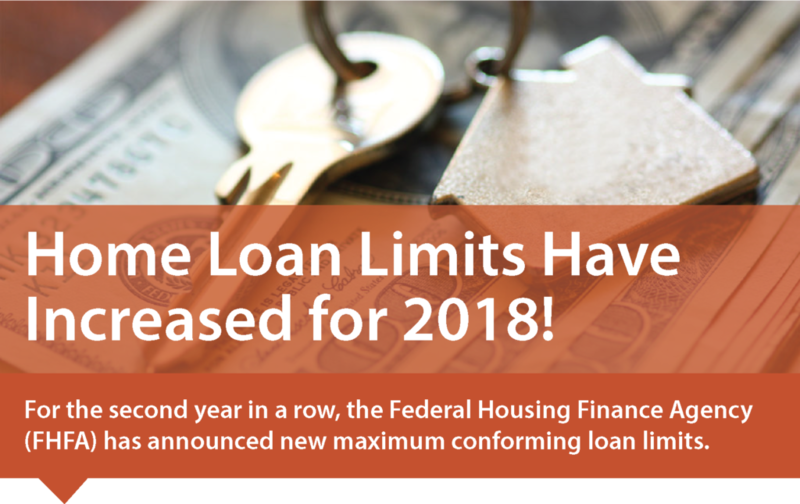 Baseline maximum conforming loan limits are increasing from $424,100 to $453,100 in 2018 for the contiguous 48 states. In high-cost areas, ceiling loan limits for one-unit properties will increase from $636,150 to $679,650, which is 150% of $453,100. For a map of maximum loan limits by county, click here.